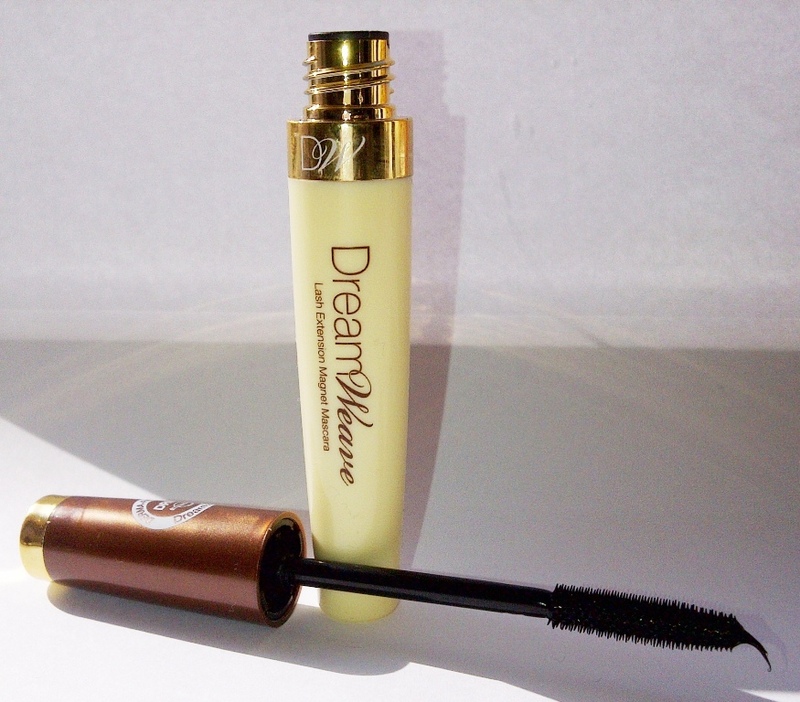 DreamWeave Mascara is apparently dubbed the 'Eyelash extensions in a tube' so naturally being the mascara junkie that I am I had to try it. The silicone formula coats each lash with a fibre wrap, giving the wearer dramatically longer lashes and is completely smudge free. A magnet-like formulation lengthens and locks onto lashes remaining long enough to wear for a whole weekend, but gentle enough to be removed by any cleanser. The packaging was unremarkable, but the wand and brush really surprised me. It is nice and small, easy for me to use and coat my lashes. 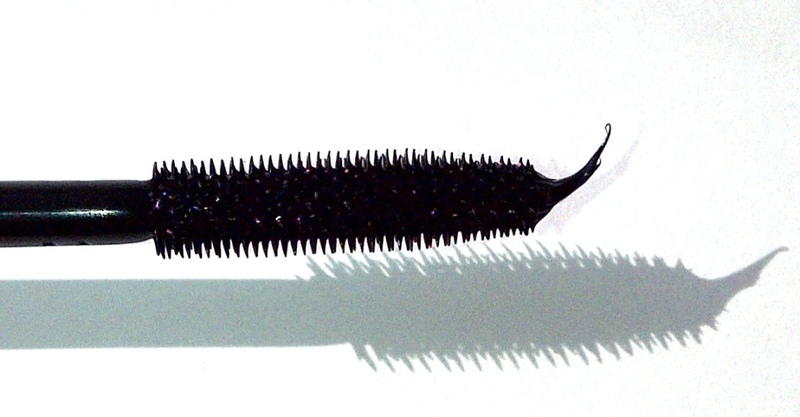 Just look at how short and tiny the brush is, you will not find big bristles here! I stuck with the mascara, I wanted to gauge how much I liked it after a few uses and not just after the first go. You can see from the picture above that each time it comes out of the tube, there is an excess on the end. The mascara feels quite wet to apply. I find the wand quite hard to control, which may sound a bit odd but as it works almost 'magnetically' I want to brush the mascara on but somehow I am not able to do it. The mascara really does wrap around the lashes and you get a great result from one swipe but I find myself wanting to coat a second time and this is when I find that it sticks lashes together. Once the mascara is on it really does not budge or smudge until you remove it. I found it quite hard to remove, I had to go over and over my lashes to make sure it was all gone (this mascara has serious staying power!) and it comes off in clumps, is that the fibres? Unfortunately my beauty regime is such that I am unable and unwilling to leave a mascara on overnight (personally I am not comfortable with it and I tend to rub my eyes a lot so was finding bits coming off onto my fingers) so cannot say if it has the staying power for a whole weekend, if you don't touch it! To sum up - This mascara is quite different from anything I have used before, the formula is really strange but it works at dramatically lengthening lashes in one coat. As ever, here are the before and after photos, just take a look at the lengthening on the outer lashes, amazing. This looks like my nightmare mascara- yuck!! So glad you did this review so I know to avoid it like the plague!! Wow, did you curl your lashes prior to application? It looks amazing.